Play FREE Titanic Online Slots Game - This is One Hot Pokies Machine. The mention of ‘Titanic’ takes one back to the classic movie which unravels the misfortune that befell one of the world’s biggest ship at the time, aka the Titanic. This Bally powered slot is a branded game which relives the events that un-raveled in the classic movie, the Titanic. As such, when spinning the reels of this game, players can expect to encounter all sorts of symbols and characters that are part of the movie. Will your heart go on? 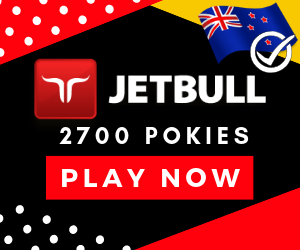 you will soon know when playing this ripper pokies game. Titanic slot game comes with five reels and 25 paylines. The beauty of this game is that it is mobile compatible hence players can enjoy it on their mobile devices provided they run on either Android or iOS operating systems. A wooden brown wall acts as the background to this online slot machine. The reel section is covered by a white colour. When spinning the reels of Titanic slot game, players will encounter the following symbols: The Titanic game logo, young female character, the young male character, the old male character, old female character, a wagon, a pair of gloves, a clock, suitcases, cellars and treasure chest. Titanic game logo and the young female character (Kate Winslet aka Rose): The highest paying icons in this game are the Titanic game logo symbol and the young female character. For matching five of the same kind, the player wins 5.00 coins, for matching four of the same kind the player wins 1.50 coins and for matching three of the same kind the player wins 0.40 coins. Jack aka Leonardo DiCaprio is the Young male character: The second highest paying icon in the game is the young male character. For matching five of these the player wins 3.00 coins, for matching four of these the player wins 1.00 coin and for matching three of these the player wins 0.30 coins. Caledon Hockley aka Billy Zane is the Older male character: The third highest paying symbol is the old male character. For matching five of these the player wins 2.00 coins, for matching four of these the player wins 0.75 coins and for matching three of these the player wins 0.20 coins. Ruth DeWitt Bukater aka Frances Fisher is the Older female character: The fourth highest paying symbol in this game is the old female character. For matching five of these the player wins 1.50 coins, for matching four of these the player wins 0.50 coins and for matching three of these the player wins 0.15 coins. Clock, Pair of Gloves and Wagon: The fifth highest paying symbols in this game are the clock, pair of gloves and wagon. For matching five of the same kind the player wins 1.00 coin, for matching four of the same kind the player wins 0.40 coins and for matching three of the same kind the player wins 0.10 coins. Treasure Chest, Cellars and Suitcases: These carry the lowest payouts. For matching five of the same kind the player wins 0.50 coins, for matching four of the same kind the player wins 0.15 coins and for matching three of the same kind the player wins 0.05 coins. Wild: The Titanic game logo icon acts as the wild. Players need to note that the wild may also come in different forms i.e. it may come with a multiplier or combined with some portraits. Scatter: The Jack and Rose, as well as the ship icons, act as the scatter symbols. Players need to note that the scatter may also come in different forms i.e. it may come with a multiplier or combined with some portraits. To start the game, the player will have to choose the stake he wants to wager with. For players who want to wager with 2.00 coins or more, they will have to buy the 1st class ticket. Benefits of the 1st class ticket include the unlocking of all 25 paylines, ability to trigger all bonus features and also the ability to hit the Mini, Maxi and Top Jackpots. For players who want to wager with 0.80 coins to 1.60 coins, they will have to buy the 2nd Class Ticket. Benefits of buying the 2nd Class Tickets are similar to those of the 1st Class Ticket. The 3rd Class Ticket is available to players who want to wager with the lowest stake of 0.35 coins. 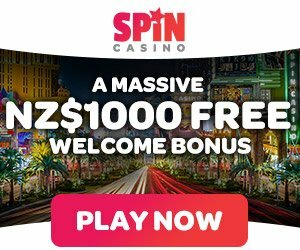 Benefits include wagering across all 25 paylines, however, the player will not be able to trigger the Mystery Jackpots Feature or hit the Top Jackpot after buying a 3rd Class Ticket. This is a random feature which will see the player getting a double wild/s on any reel apart from reel 1. If the double wild lands on a position that is already occupied by a wild, the wild will change its form but still remain a wild. This feature is randomly triggered but only if the Wheel Feature has not already been triggered. A grid is presented on the screen and the player is asked to pick. The objective is for the player to pick and reveal identical icons. Once done, the player stands a chance of winning a multiplier prize. This is a randomly triggered feature which activates only if the player has not already triggered the Wheel Feature. The objective is to pick and reveal 3 identical tiles. Once done, the player will hit one of the game’s two jackpots i.e. the Mini Jackpot or the Maxi Jackpot. This feature is triggered when the player lands three ships scatter symbols. The player will be given 9 shots at spinning the wheel. During these 9 spins, the player stands a chance of winning cash prizes, multipliers or to trigger other bonus features. Players need to note that triggering the bonus feature will bring to an ‘abrupt’ end the wheel spins (even if not fully utilized). This feature is triggered via the Wheel Feature. The player is asked to pick one between two tiles in order to reveal a multiplier prize. The Safe Feature: This feature is triggered via the Wheel Feature. The player is asked to pick one among 10 safes presented in order to reveal a cash prize. This feature is triggered via the Wheel Feature. 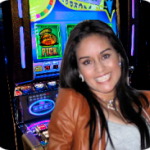 The player receives a number of free spins and multiplier values. A different paytable is in play when you win this feature. Make It Count free Games: This feature is triggered via the Wheel Feature. The player receives 10 free games. Additionally, symbols are added to the reels. A different paytable is in use. Titanic is a medium variance slot which comes with a whole host of bonus features. This slot game gets a 9 point rating out of 10 points and it’s a must play free Bally pokies game on our site.